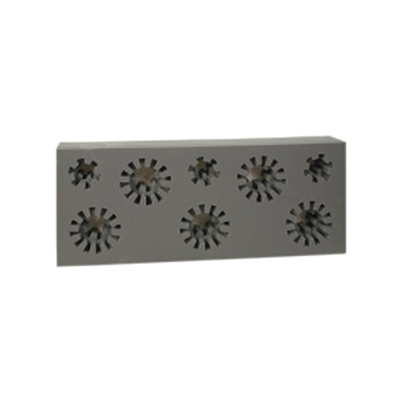 The Transporter10 Eight-Hole Vase Block by Chrysal Americas ensures that flower arrangements arrive in the same condition as when they left your funeral home. No more broken stems, cracked containers or spilled water! 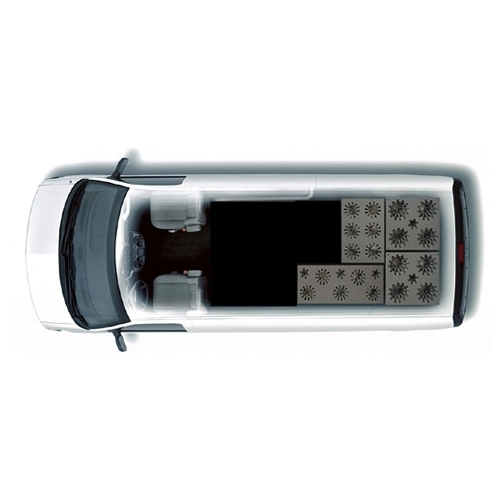 Engineered with graduated openings, Transporter10 floral vase blocks hold everything from bud vases to vases with a 10-inch diameter. With a variety of styles to choose from, there is a size to fit every need. 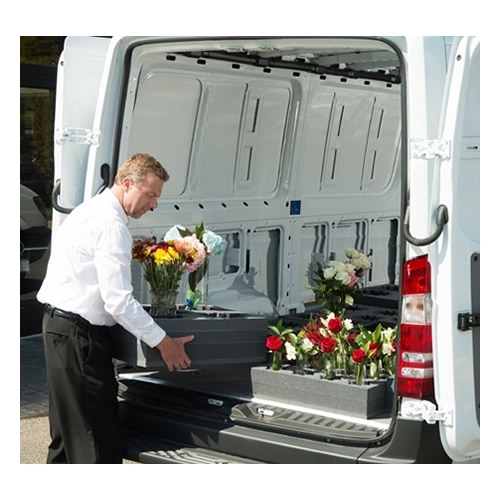 Transporter10 assures peace of mind knowing that the floral arrangements will reach their destinations looking as good as they did on display at your funeral home. This product usually ship in 2 to 3 days depending on availability. Please call us before ordering if you need to know a more accurate shipping date for this product. We are required to collect state and/or local sales tax from our customers who purchase Chrysal Americas products and who are located in any of the following states: FL, GA, IL. However, our website is unable to calculate sales tax per product per state. So, if you purchase any Chrysal Americas products and are located in any of these states, we will contact you with the sales tax that is due. 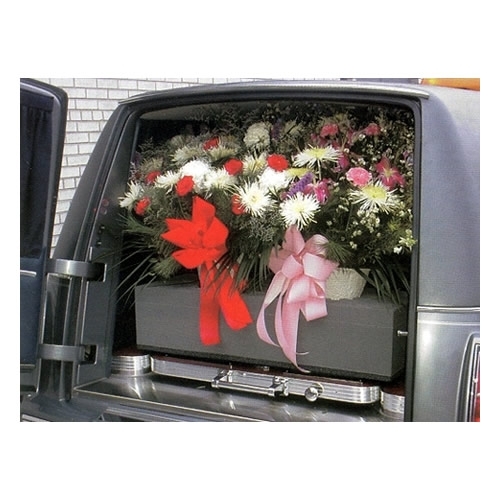 You will be responsible for paying MortuaryMall.com any/all applicable state and/or local sales taxes prior to shipment.